Thrive on challenge? Apply to our Honors Program. Designed for students who love to push themselves, our Honors Program is a six course sequence designed to enhance students’ understanding of the liberal arts and the interconnectedness of diverse fields of knowledge. Honors students also enjoy the opportunity for various field trips, career planning sessions, and extracurricular activities to support community engagement. 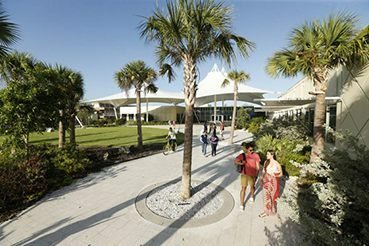 The Eckerd College Honors Program is a liberal arts enhancement program designed to foster and nurture intellectual creativity and community among Eckerd’s high-achieving students. 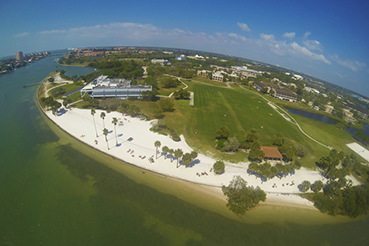 The purpose of the Honors Program is to attract and retain excellent students to study at Eckerd College by providing them enhanced opportunities for learning and community-building. 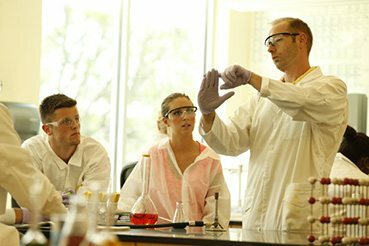 Since the Honors Program is not tied to any discipline or concentration, Honors students are free to major in any discipline and still complete the Honors Program. All Honors students must meet the General Education requirements, the Honors Program coursework outlined below and the requirements of a stated major or concentration. Completion of the Eckerd College Honors Program will be indicated on the official transcript. First-year Honors Program students are placed in Honors sections of Autumn Term and the first-year foundation course “Human Experience.” 2018 Autumn Term course descriptions and professor bios are featured on the New Student Page. During their second year, Honors Program students participate in a two courses designed to explore connections among different disciplines and disciplinary methodologies. Students also meet together for field trips, and other opportunities for intellectual, social, and creative stimulation. Activities and discussion will focus on topics of unique interest to the cohort. Special mentoring, curriculum and career planning, and other enrichment activities will be scheduled. A variety of written assignments provide opportunities for personal and intellectual exploration that may not easily fit within the confines of a usual college course. There are no formal expectations from Honors Program students during their third year as they are encouraged to study abroad, participate in internships, and conduct undergraduate research. During their senior year, Honors Program students are placed in Honors sections of the senior capstone general education course called, “Imagining Justice.” These sections are designed to reflect the intellectual rigor and depth characteristic of the Honors program. Senior Honors students will also receive special career mentoring as they prepare for their lives beyond Eckerd College. In addition to the coursework outlined above, Honors Program students have the opportunity to regularly attend funded cultural events, network across cohorts, receive enhanced mentoring from their Honors mentors, and participate in other intellectually stimulating activities together. In summary, the Eckerd College Honors Program brings together some of the College’s best students and offers them special opportunities and challenges that are philosophically and theoretically designed with their academic profile in mind. Provides a multi-disciplinary introduction to research on gender and sexuality. Includes perspectives from natural sciences, social sciences, and humanities. Sophomores in the Honors program have priority for registration; others may enroll on a space available basis. This course will investigate how technology is reshaping what it means to be human and live in a "natural" environment. This emerging field of inquiry lies at the intersection of several fields: biology, computer science, philosophy, biopsychology, cultural studies. Sophomores in the Honors Program have priority for registration. Permission of instructors required. Students who qualify based on their admission application will be invited to apply to our Honors Program. As a senior, you’ll all take an honors section of the senior capstone course. For more information, contact the Director of the Honors Program at vincenhl@eckerd.edu.